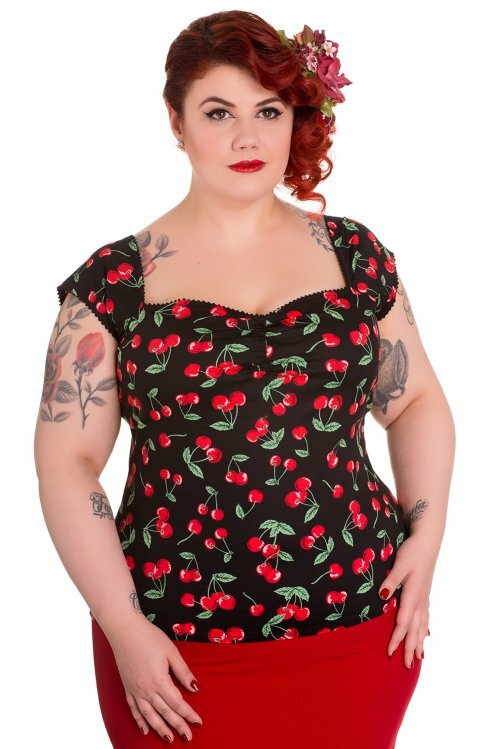 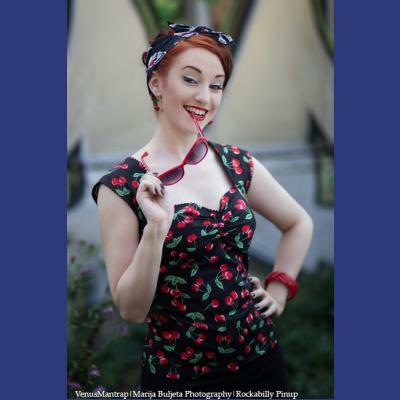 Cherry Pie rockabilly-style top by Hell Bunny is black cotton printed with red cherries and green leaves. 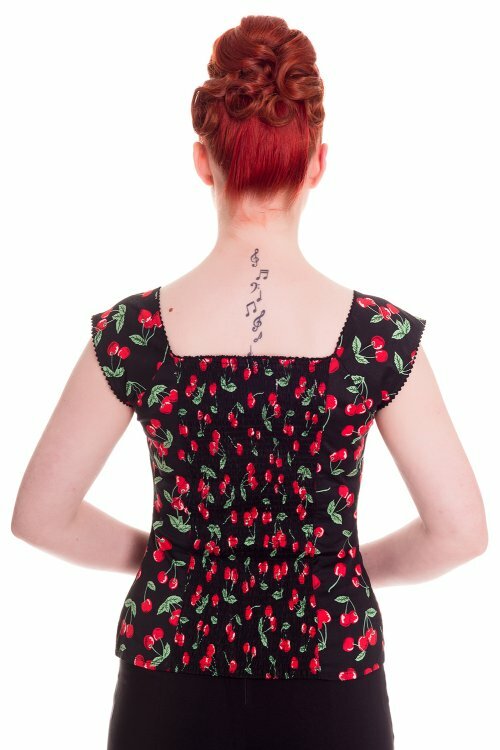 The top is gathered at the centre front across the bust and the centre back panel is shirred with elastic so it stretches for the perfect fit. 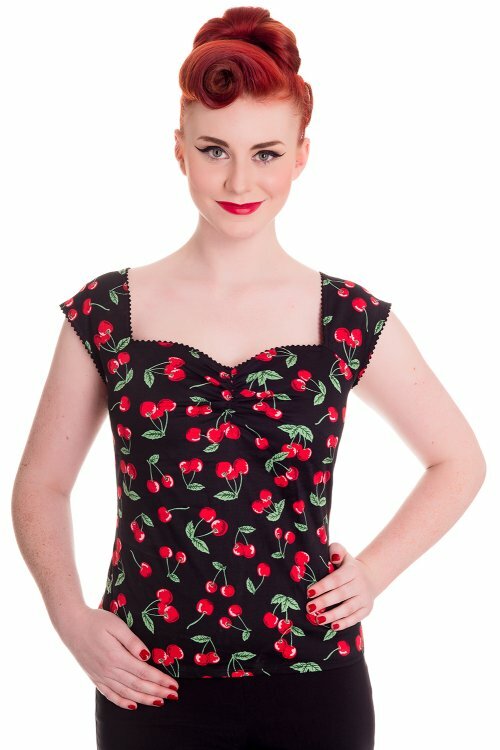 The top has a pretty sweetheart neckline trimmed with black looped trim and cap sleeves. 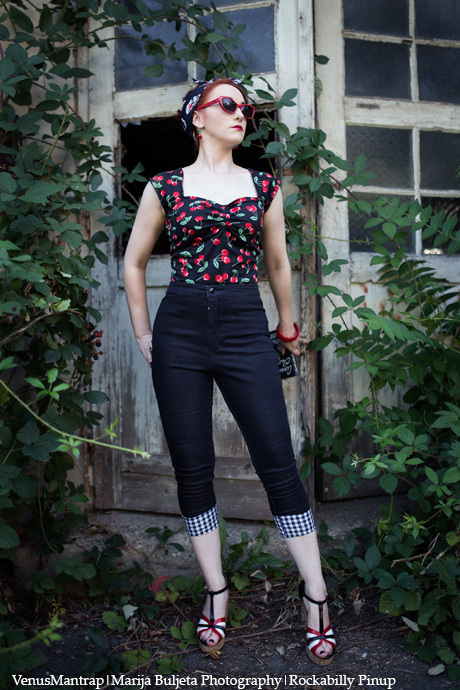 Sizes uk6-uk22.